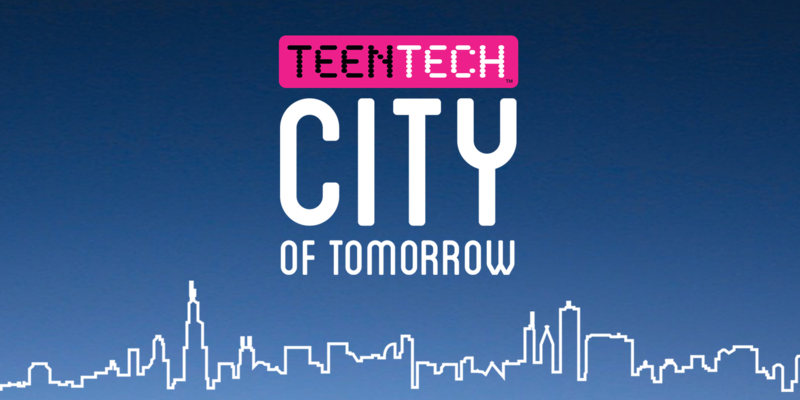 We’re pleased to announce the website and web app launch of TeenTech’s City of Tomorrow initiative, developed and designed by Chaos Created for TeenTech CIC. The TeenTech City of Tomorrow initiative offers students in Key Stages 2 and 3 (8-14 year olds) the opportunity to apply their knowledge of science, technology and engineering to create their own vision of the city. Working to the brief of smarter, kinder, and safer, young people – individually or in small teams – have to design and construct architectural models of buildings to sit on the footprint of an A4 card – but buildings can go out as well as up. Together they will develop ideas for the connected city, addressing issues of how we will live, work and play in the future. Materials used to build project models should be recycled or cost no more than £10 if bought specially. 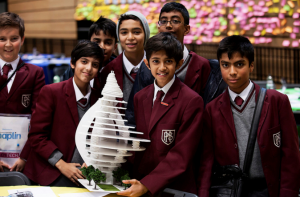 Models from within a school or across a region are then brought together to create mini cities, showcasing them regionally both at dedicated events and at TeenTech events across the UK. Chaos Created, after working with TeenTech on their new web site and branding last year, was asked to develop the web site and web app for the TeenTech City of Tomorrow competition. We worked to ensure the design was inline and complimentary to the new TeenTech branding we established last year, whilst establishing its own visual identity with a new colour palette and a distinguishing skyline that spans the site, and carries the branding across print and digital forms. The logo was designed in collaboration with Harry Ortmans, and is bold and distinctive. In addition to the site design, we have developed a web app for uploading and viewing competition entries, allowing buildings to be shared easily, providing inspiration for other entrants. We are also working on allowing allocated individuals from construction and design industries the ability to provide feedback to the students, as well as future enhancements and capabilities. Interactive resources are also in the works to provide inspiration and ideas. There are some really exciting features in the works, and we’re really looking forward to developing and growing the site further as the competition rolls out nationwide. Please take a look at http://teentechcity.com for more information about the initiative and to view our work.